Nikki Grimes is a New York Times bestselling author. Her previous works include At Jerusalem's Gate, When Daddy Prays (both Eerdmans), and Bronx Masquerade (Dial), which won the Coretta Scott King Award. Most recently, she won the 2017 Laura Ingalls Wilder Award for her lasting contributions to children's literature. Nikki lives in California. 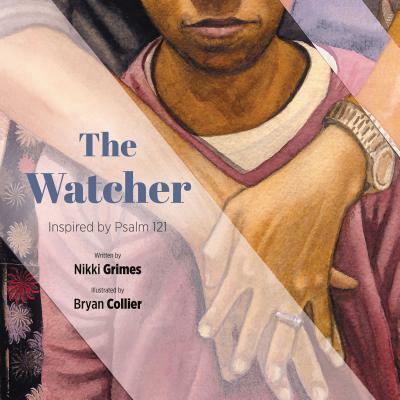 Visit her website at www.nikkigrimes.com.Bryan Collier grew up in Maryland and began painting when he was fifteen. His first children's book, Uptown (Henry Holt), earned him the first-ever Ezra Jack Keats New Illustrator Award. He has also received four Caldecott Honors and has won the Coretta Scott King Award six times. He lives in New York with his wife and daughters. Visit his website at www.bryancollier.com.